Elevate your gaming experience to the next level with the carefully tweaked and tuned ZOTAC GeForce® GTX 550 Ti AMP! Edition graphics card. 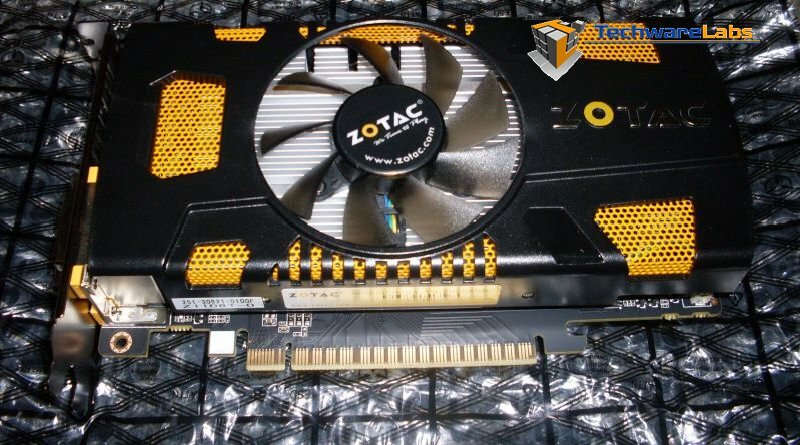 By supercharging the engine, shader and memory clocks, the ZOTAC GeForce® GTX 550 Ti AMP! Edition is able to extract every ounce of performance available from the graphics processor to deliver class-dominating performance and clarity. NVIDIA® SLI™ technology enables two ZOTAC GeForce® GTX 550 Ti AMP! Editions to work together and deliver twice the performance boost to keep up with demanding gamers. NVIDIA® 3D Vision™ technology enables gamers to step into the third dimension with breathtaking stereoscopic 3D effects with hundreds of game titles using the ZOTAC GeForce® GTX 550 Ti AMP! Edition and compatible 3D hardware or unprecedented gaming immersion. Zotac has sent us their 550Ti amp! video card to review and without we put it through our gambit of benchmarks and quite impressed for a card that is presently running for a price of $153 is a great value and performer for the price. The tweaks that Zotac has added to the “amp!” has set it a little faster than its competitors in the 550 series and at the time of this review is just $10 more than its closest competitor.